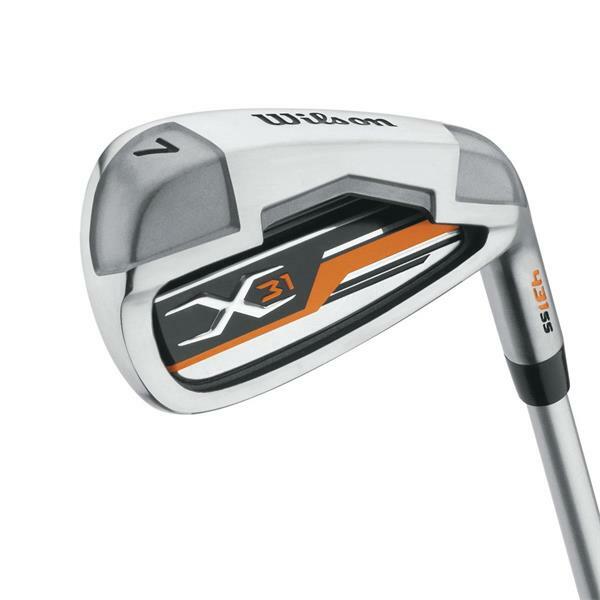 The best selling Wilson X31 has had a makeover, Featuring the latest technologies offering a forgiving powerful design. The X31 Mens Golf Set is ideal for both beginners and improvers alike and Includes everything that you will need to get you out on the fairways. DRIVER (Mens Graphite shaft) - Forged Titanium composite oversize 460cc driver Featuring power weighting technology and a large sweet spot resulting in increased accuracy and distance. 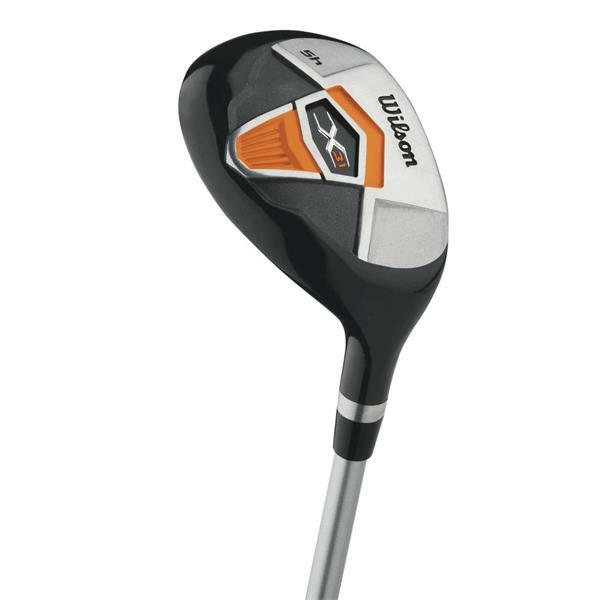 3 Wood (Mens Graphite shaft) - Large sweet spot fairway wood with a weighted sole to encourage a high launch ball flight off tight lies. 1 x #5 Hybrid (Mens Graphite shaft) - Easy to hit hybrid club with a shallow face and high launch technology replaces the hard to hit long irons. 6,7,8,9,PW & SW Irons (Mens Steel shaft) - Powerful stainless steel irons with a low centre of gravity and extreme perimeter weighting. Offering forgiveness high launch and distance. Easy align Putter (Mens Steel shaft) - Popular heel and toe weighted putter. Offering increased feel and control. 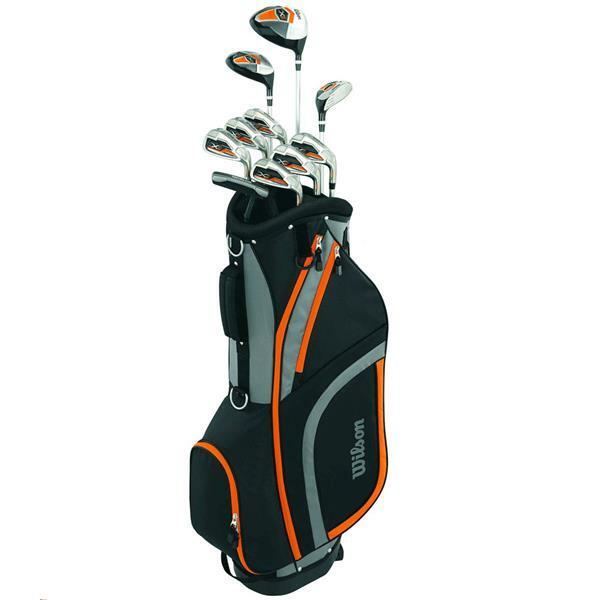 Deluxe Golf Cart Trolley Bag - Lightweight golf Cart trolley bag featuring. Plenty of storage pockets & rain hood. Designed to sit perfectly on any golf trolley. 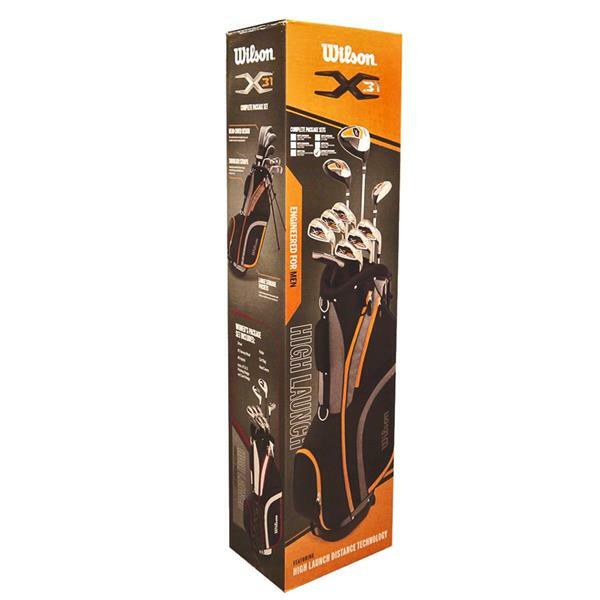 ALSO INCLUDES 3 x Wilson Head Covers.